Key Difference:Flora and Fauna together form an integral part of the ecosystem. Where floral talks about the plant life of a region or a certain period, fauna represents the wildlife of a region or specific period. Flora is the plant life occurring in a particular region or time, generally the naturally occurring or indigenous—native plant life. In short, the plants of a particular region, habitat, or geological period. The word flora finds its origin in ​​​Latin language and is derived from the name of the goddess of the flowers in Roman mythology. Flora is classified into four subdivisions based on the region where they grow. Native Flora: Plants that specifically grow only in a particular region or are native of that location. Agricultural Flora: Plants that are purposefully grown by human beings for satisfy their needs. Horticultural Flora: Grown for decorative purposes by human beings. Weed Flora: Unwanted plants that grow along with main plantation. Fauna is all of the animal life of any particular region or time. Zoologists and palaeontologists use fauna to refer to a typical collection of animals found in a specific time or place. The term Fauna is also derived from Latin. In Roman Mythology Fauna was the sister of Faunus, a good spirit of the forest and plains. Swedish zoologist Carl Linnaeus coined the term. Like flora, fauna is also subdivided into categories based on animals living in certain regions or areas. Cryofauna: Animals found in cold places especially near ice. Microfauna: Small animals and microorganisms come under this category. Megafauna: The largest animals of a particular region or time. Mesofauna: Invertebrates and organisms living in soil are included in this category. Avifauna: All the species of birds are included this subdivision. Piscifauna: The fishes of a given region fall under this section. 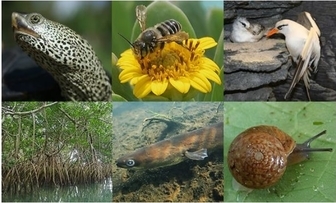 Majority of the life forms can easily categorised be as flora and fauna, but there are examples where you can see characteristic of both in a single organism. Euglena is an exception in this case which behave like plants, as it makes their own food and also eats in the way how animals do it. 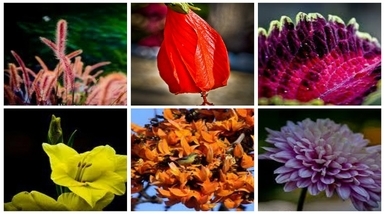 Below are the most important and prominent differences between flora and fauna. Flora is the plant life occurring in a particular region or time, generally the naturally occurring or indigenous—native plant life. In short, the plants of a particular region, habitat, or geological period. Fauna is all of the animal life of any particular region or time. Zoologists and palaeontologists use fauna to refer to a typical collection of animals found in a specific time or place. Have to acquire it from other plants and animals. Can easily move from one place to another. Is studied under botany and the person who studies the subject is called botanist. Is studied under zoology and the person who studies the subject is called zoologist. Latin Language. From the name of the goddess of the flowers in Roman mythology. Latin Language. In Roman Mythology Fauna was the sister of Faunus, a good spirit of the forest and plains. Swedish zoologist Carl Linnaeus coined the term. Does not have cell wall.